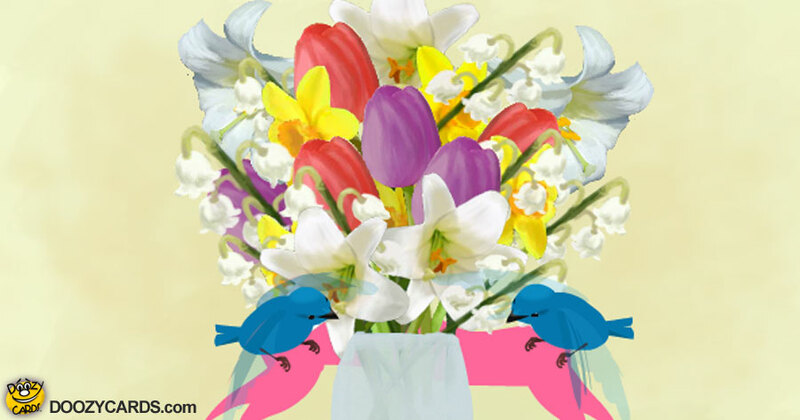 Easter bluebirds are hard at work making this beautiful bouquet just for you! Our team of hard working bluebirds have come bearing a stunning assortment of spring flowers. 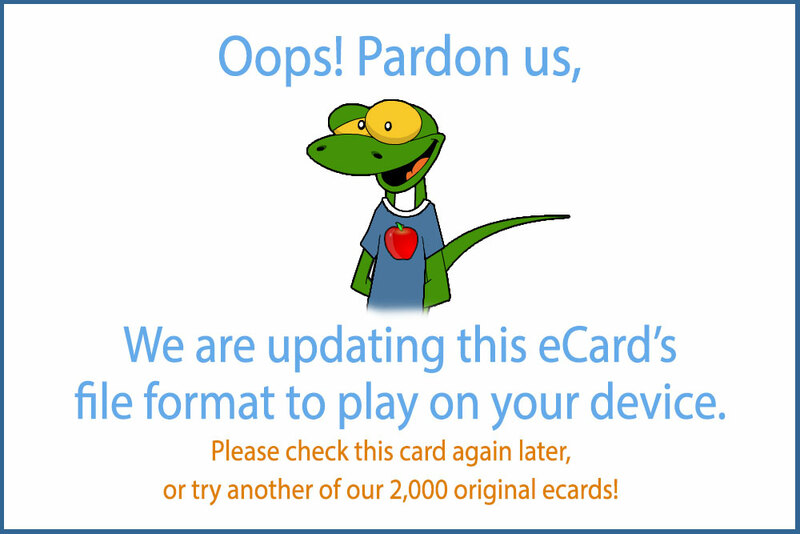 They make quite the adorable florists in this delightful electronic Easter ecard. Your friends and family will surely know how much you mean to them this spring when they receive this musical ecard on Easter morning. It's impossible to hide your smile watching our pretty little bluebirds flit to and fro with daffodils, lily of the valley, tulips, and lilies. Send your favorite people these Easter bluebirds and a whole lot of love this season with our adorable online Easter card!